Russia’s nuclear arsenal should not drop below 1,500 weapons, said the commander of the strategic missile troops Colonel-General Nikolay Solovtsov. This number will not compromise Russia’s deterrence capacity and may become the basis of the new strategic arms reduction treaty, which is to replace the START agreement. Russia and the US are currently negotiating the terms of the proposed document behind closed doors. “Our position is that we should not go below 1,500 weapons. 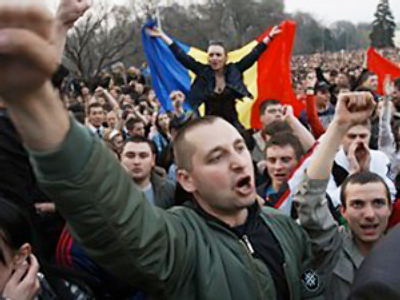 The final decision is to be taken by the military-political leadership of the country,” Itar-Tass news agency cites him as saying. 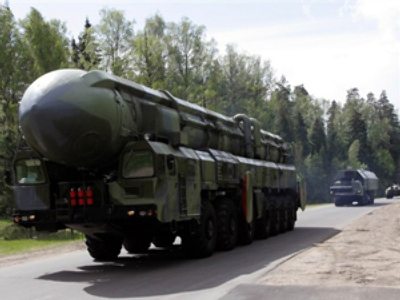 Solovtsov added that current plans for nuclear reduction are for Russia to have between 1,700 and 2,000 weapons by 2012. Last week, Chief of Russia’s General Staff Nikolay Makarov called the nuclear arsenal “a sacred issue” for the military and said the strategic missile troops will receive all the funding required to maintain a high state of readiness. 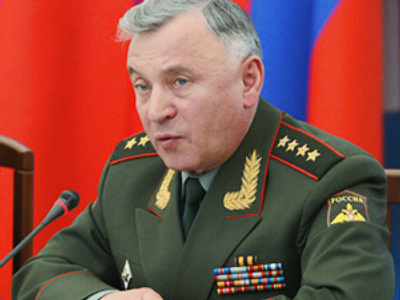 General Solovtsov backed this position, saying the command’s rearmament plans will go as scheduled this year. He also opposed the idea of turning strategic ballistic missiles into precision conventional weapons, saying it would undermine international security. “Modern systems of launch detection don’t distinguish between nuclear and conventional missile warheads. So it’s natural that the threat will be assessed with a worst case scenario in mind,” he said. Some US military experts suggest using conventional intercontinental or submarine-launched ballistic missiles in warfare for rapid strikes in any part of the world. Russia's top brass have been opposing the idea, citing its drawback as a potential threat of a false-alarm nuclear conflict.